I would like to take you to the journey of what’s happening in textiles and what are the challenges for the textile industry. Before I get into that, I just want to make you aware about Archroma. Many people would know Sandoz quite well. Many people would know Hoechst quite well. Many people would know BASF quite well and also a lot of companies in this domain. We have gone through this acquisition process in the last 20 years and a lot of consolidation has happened in this whole process. And now we are here as Archroma having five companies in our portfolio. Overall, we got very good products in the acquisitions including lot of leather chemicals and a few products mainly for the construction industry. Archroma was formed in October 2013 from the textile, paper and emulsions businesses of Clariant. Clariant itself was formed in 1995 as a spin off from Sandoz, a chemical company which was established in Basel in 1886. In 1997, Clariant acquired the speciality chemicals business of Hoechst, a German chemical company. In September 2017: An additional share of 26% in M. Dohmen, giving Archroma a controlling 75% participation in the M. Dohmen group. Through this direct lineage, Archroma has knowledge and experience of chemistry and industry spanning more than 130 years. First, I’ll show you a short video. What’s the problem of textiles? The whole value chain of textiles from the fiber to the retail doesn’t end there. It’s also the recycling part at the end of the day. Everything is under squeeze. Everything is about profit making and you can see this in the video which is made by JP Morgan. This is a two hour movie – called True cost – which you can watch on YouTube. The movie shows to the college students and to the brands what we’re doing to the environment and ecology by unethical means. How we are spoiling the environment. Everything has been captured very well in the film and I’ll just show you a small trailer of that. It shows what problems are happening in Bangladesh. This shows what is happening with the garment factories collapsing. It shows unethical means in which the procedures are not being followed. The amount of pile of cotton waste like mountains lying around the world. And what do we do with that? Recycling of cotton is one of the biggest challenges because of two major reasons. One is that most of the fabric is dyed with reactive dyes which are covalently bound. You can destroy the chromophore but the covalent bond cannot be destroyed. So it doesn’t help you in the process of the first stage of recycling what is called ‘stripping’. And then the next stage is the dissolution part. The other big problem is the resins which we use there. They also cause a lot of problems because resins are also cross linking. We are coming out with new technologies where we are going away from the chemistry of reactive dyes. We’re looking at Sulfur dyes which can be stripped off easily as they don’t form the covenant bond. So, this helps in a way for the recycling. Then we need to find alternatives to resin which can be stripped and go forward. And in terms of various things, which we’re doing around as a company finding ways for every chemistry which is there, which we can make it more ecological. One of the big topics which we have been discussing is concerning the washing machines. As you know that earlier there was the use of various anionic detergents. We call AOS chemistry or SOS chemistry. But now there’s more of glucosides which are fully biodegradable and can be used for hand wash and home cleaning purposes. Most of these big companies like Procter & Gamble are good at changing the words that reflects the technology but this helps in a way. They claim that OECD method shows that 100% degradation takes place in 28 days. But normally our detergent which we use is not going beyond 85%. 15% still remains after 28 days, which we need to be treating today. We started off in the hand wash in a big way. But no textile mill has started using because of the cost. But you know it very well. It’s (glucosides) one of the best chemistries for the future. Let’s now see the extent of pollution being caused in the textile industry. It is estimated that about 6 million tons of textile chemicals are used around the world. Around 20% of the pollution in the waste water segment is coming from the textiles and 5% of the total landfill is also coming from the textiles. The challenges: now you have zero discharge and you finally land up with the salt. And ash, if you have incineration. At the end of the day, there’s no solution to the ash, there’s no solution to the salt. You can put it in construction and a lot of other things. But there are a lot of things actually happening in our textile mills, where the people will find it more economical to do it that way. These are two big challenges which I see. I find Tirupur to be the best place where we see a lot of change has happened. They have learned the whole process by putting a lot of investment. But in the process, what happened, you know, when you go to a textile mill, a knitwear plant. the break even point for them is 16 tons a day of production without zero discharge. And none of them was actually at that level. And they are more or less collapsing. Bangladesh has an average size of 40 tons or 45 tons but Pakistan has got more. And there are bigger companies having up to 500 tons or more like Gildan, which is there in Honduras. These are huge companies. So, India then slowly, slowly expanded and came to a size of 25-30 tons, which is still a break even point higher than that 16 tons/day level for without zero discharge unit. But when zero discharge is to be followed the break even is about 22 tons/day to make money otherwise they’re just servicing. The next point is that in India, the textile industry was never involved in garment making. It was all left for the tailors to do the business and government did not allow the large garment producers to come forward. Now there’s a lot of investment happening in Jharkhand and also in the Telangana area, where they’re trying to set up units by offering rebate system for the garment factories to match the labor costs of Bangladesh. But we don’t know how long this rebate will continue. But there are big companies like Orient Craft, Arvind and Shahis wo are participating. We must also note that textile was never fully integrated in the value chain. If you remember of the past- may be even before I started studying – we used to have 18 to 20% yarn production as our contribution to the world. We also had a good contribution in the weaving sector but processing was not bad at that time. We had hundred mills in Mumbai, another hundred mills in Ahmedabad. We were contributing at least 18 to 20% share (of processing) to the total fabric production in the country. But now it’s hardly four to five percent. The main reasons for this decline are: there’s hardly any innovation taken place, the plant size remain so low, wastewater problems exist everywhere, etc. Processors are under pressure everywhere. The whole ground water has gone bad in Ludhiana, Jodhpur, Surat and other places. There’s no CETP connection. They have to relocate. These are the biggest problems that the textile industry needs to solve. Otherwise, the industry will not survive for too long. The way things are moving in our industry, bigger ones (units) will grow and become more big and when this happens (big ones becoming bigger) then enter the bigger retailers who come into play and squeeze the price they have to pay. Walmart will not allow you to get a penny more than what they want to pay. They will feed you in order to make you big. But then when you are becoming big, they will try to start squeezing you and you can’t come out of the business. These are the problems which one has to be looking at. The whole value chain has to be looked at from fiber to the consumer and then to the disposal part. In this whole chain, everyone has to contribute whether one is involved in fabric or in fiber production. Now, more or less, the synthetic fibres are going up globally. 55-60% is mostly synthetic and in future it’s going to be more. China is much more in terms of percentage than what India has. We have at least 50 or 55% of cotton still remaining in India. But this will slowly change. Let’s look at the quality issues now. I was talking to Decathlon, one of the good polyester sourcing brands, only to be told that we have no good technology available even to process a good polyester fabric. People are still going to Korea and to Taiwan to get the right polyester. We have Surat for example, a big polyester hub but then buyers don’t get quality. We are only for the local market. In case of polyester, there is a big demand for high quality fabrics. There’s a lot of need to make this possible in India. This situation needs to change and a lot of investment has to happen to bring the right kind of processing techniques in the country. For example, consider the whole process of weight reduction. There’s not a single unit which has got it a right way. Research and technology for polyester to get the right feel is lacking. There are challenges at every stage which we need to address if we want to survive being in India. However, we are much better than Bangladesh in terms of following the ethical ways to conduct our businesses. We have better plants and are in a much better position overall. We need to seriously address all the issues related with pollution in order to effectively control it. This can get us more business. Other issues are related to the interest rate, the freight movement, the services available at ports we have, and others. You’ll be shocked to know that our GNPT port is at the 27th position in the world ranking of ports. 27th in the world! And we are talking about the economy! There are 5 ports in China that rank among the top 10. Shanghai is number one and the second is Singapore. Singapore is more of oil based. But then there are many in China. And they have achieved that very well. The transit time and the turnaround time are the critical parameters for any port. We were having around three weeks of turnaround time which is now squeezed to about a week. But in Shanghai, you have one day of turnaround time. And this is really very challenging now. Now let’s talk about the innovations taking place around us in terms of game changing technologies. A number of topics have been addressed in the textile industry on the fabric part. Some innovations are driven by the feel of the fabric. We’re changing the feel of a substrate that is first thing. Second thing is making it possible to impart some functional comfort properties to the fabric. Either it’s more absorbent, or more comfortable to wear or it keeps the fabric cooler. The next thing is about the looks which may be combined with style and/or fashion. Now the technological aspects come into play like nanotechnology, energy saving processes, ecology and so on. But in textiles, innovations are still vastly driven by the functionalities requirements for products like towel, home textile, technical textile, etc. It’s all about functionality. In case of apparel also, the focus is enhancing the functionality. There is a question now that how to change consumers’ habits to make them aware about the importance of saving the water usage in the household washing machines. There’s a company in the US, they’ve launched a product called ‘Ably’. You can google it on the kickstart.com, you’ll find it. They’ve come out with a T shirt which we don’t have to wash. It stays fresh, doesn’t absorb anything. That’s the way they’re promoting. And they call it Filium™ technology that makes natural fabrics repel liquids, stains, and odors. You can have a look at that. And this is good as a change. If this catches up, you can wear it maybe for about six months. You can go in the office or for the sports with the same t-shirt without washing because it doesn’t absorb anything. So, no sweat, no smell. If the sweat is absorbed, then only the smell comes. Now, let’s see what is happening in terms of sustainability. What are the challenges and what innovations have come up recently. The first area is to know how the cotton or the fiber is being produced. Second is how the chemicals have been produced. Third is what are the harmful effects and the fourth how the consumer is affected. All these four areas are critical for us. The cotton production, as you know, involves an extensive use of harmful pesticides and also consumption of huge amounts of water. These things have to be dealt with. It is widely publicised that the health of the workers, who are handling pesticides, is adversely affected and they suffer from skin irritation and various diseases. The video “True Cost” shows exactly what is happening in say, Punjab when a farmer goes and sprays pesticides on the crop. And then what kind of disease he comes back with. Chemicals are also important. Every chemical which we make is important and requires thorough monitoring. At Archroma, we feed every production detail into the SAP so every chemical analysis is available on the database and the MSDS – Model Safety Data Sheet. It’s online reflected and is available for everyone to examine. So that means if a customer wants the safety data sheets, it will be online and available at all the time. Now the way we buy the chemicals and the way we test the chemicals is also critical on account of the banned substances. Inditex and Zara are moving very strongly ahead with a lot of restrictions and most of the brands also have their own restrictions. Unfortunate part for the textile sector is that there are too many certifications. We have Eco test, we have Blue Sign and dozens of other certifications and REACH comes in on the top. All these certifications are increasing the cost of operation unnecessarily. So we need to get out of this complex web of certifications. When you look at the pharma industry with so much of complexity, they just have IPs and Pharmacopoeias (Drugs manufactured in India have to be labelled with the mandatory non-proprietary drug name with the suffix I.P. This is similar to the B.P. suffix for British Pharmacopoeia and the U.S.P. suffix for the United States Pharmacopeia). They can really run the business smoothly as there are very clear FDA regulations there. But where is the regulation in textiles? And that’s where all these certification agencies have to come forward and make one regulation across the board. Some people have to ban it also. So much of money for each product is to be paid. You’re paying thousands of dollars for certifications. How can we compete in this situation? This is another challenge which we need to overcome. Another important area to explore relates to how we make the products and how we can have control over it. And how can we actually then modify it because it’s always controlled. Once we know what are the ingredients inside, we keep on modifying it. Take for example the case of cotton processing. When cotton fabric undergoes processing, we get a weight loss of 6% to 7%. Where does the fiber go? In the waste water. How do we control it? No ways. You modify the process and go for enzyme technology which could be a cheaper one, less of harsh treatment, less of damages coming from caustic soda on the fabric and then lesser sludge generation. This is one thing which we all have to work on. We use huge amounts of caustic soda in the textile processing in processes like scouring and mercerization etc. But when caustic soda has impurities like metal inside, we get pinholes and it also leads to higher degree of polymerization loss. The outdated caustic manufacturing process has really had a big effect on the textile processing. For example, the mercury cell based manufacturing plants in the past produced caustic soda which was contaminated with lot of mercury which was bad for peroxide and the environment. Even rayon grade caustic soda being offered today by some suppliers has a lot of zinc inside which leads to adverse results. As regards the certification, we need to find the way how can we harmonize the certifications. So many certifications exist and every certification keeps on adding more. And there seems to be no end. Not only this, the brands have their own certifications. So it becomes even complex for one processor who says I’m supplying to Zara, I’m supplying to Marks & Spencer, I’m supplying to H&M and I’m supplying to Walmart, but everyone has a different standard which makes the job of the processor burdensome and expensive. So, it becomes too complex for people to fully understand and comply. And that’s why we get a lot of inquiries to help them to improve their processes. We, at Archroma, have introduced several innovations. I don’t want to talk about individual products here but only outline a few innovations to give you an idea about what we have done. We have our own Zero Discharge Plant in Pakistan and we are doing very well. Archroma’s production site at Jamshoro, near Hyderabad, Pakistan, is operational since 1970, where dyestuffs for the local and international textile industry are produced. This plant plant combines flocculation, equalization, surface aeration, clarification, ultra-filtration and reverse osmosis. The resultant recovered water is returned for use in the production facility and so significantly reduces our demand from local water supplies. Every day, between 1,200 and 1,300 cubic meters of effluent is generated which passes through sustainable effluent treatment. Eighty percent of the water is recovered, the remaining water is lost through evaporation and results in 3 to 4 tons of dried sludge which is then incinerated. Incinerating the sludge creates steam, which is used in the production facility. The Sustainable Effluent Treatment facility operates with zero discharge, reduced steam energy and reclaimed water. We have launched EarthColors – A range of textile dyes made of agricultural waste and fully traceable from the source to the shop – which are made from the almond shells, saw palmetto, rosemary leaves, and other natural non-edible agricultural waste products that would otherwise be sent to landfill. For this new range of “biosynthetic” dyes, we procure various ingredients and make a nice range of colors, which is getting very popular among many of the brands like Levi’s, and Patagonia. They’re really taking the storyline ahead quite well. EarthColors are designed to provide rich red, brown and green colors to denim & casualwear. Archroma’s efforts to improve sustainability in the textiles industry reflect in its work in dyeing systems for denim under the brand “Advanced Denim”. Patagonia, one of the most forward thinking of the major clothes brands, was the first in 2015 to announce a new dyeing and manufacturing process developed using Archroma’s Advanced Denim technology. Advanced Denim uses dyestuffs that bond more easily to cotton, minimizing the resource usage of traditional dyeing of denim. As a result, Patagonia is using 84% less water, 30% less energy and emitting 25% less CO2 than conventional synthetic indigo denim dyeing processes. Using the Advanced Denim concept with the sulfur dyes, we can save 90% water. It’s a slightly expensive than the Indigo process. But we have colors in sulfur which can replicate the Indigo with the right wash down effect. We have been able to successfully demonstrated the efficacy of the Advanced Denim technology. We have another innovation called Inkpresso® – A breakthrough system allowing textile digital printers to produce their inks on site – for digital printing. More than 20 billion linear meters of printed textiles are produced every year. Currently, only around two percent of these are made using digital printing techniques. Introduced in November 2015, Inkpresso® is a pioneering system that Archroma believes will mark a turnaround in the textile digital printing market. Developed together with Ink-Situ, a Swiss technology provider, Inkpresso® will change the way inks are supplied to digital printers. The system brings together benefits that were unattainable so far in inkjet printing: Production flexibility, no shelf-life problems, a larger color spectrum and the possibility of an individual coloristic fingerprint. A major component of ready-mixed inks is water. This, however, leads to higher transport costs, increasing environmental impact and reduced shelf life. The Inkpresso system enables mixing of the required ink on site and on demand. The central component of the system is the Inkpresso Ink Formulation Unit (IFU), where eight color modules are available. The colors can be mixed to meet manufacturers’ specific needs – at any time. Depending on the size and complexity of the printing company, inks can be sent directly from the Inkpresso IFU to the printer through a piping system, or several printers can be supplied simultaneously using a special distribution unit. In addition, colors can be stored for several weeks in a storage unit. Inkpresso is driving the digital printing revolution by bringing ink manufacture back to the printers themselves. We have launched a new Digital Printing system where instead of transporting the liquid inks to the customer premises, what we are doing is putting the purified powder dyes. And then we have the process and a machine to make the ink live and next to the digital machine. Fortunately, I was one of the patent holders for developing this in my global role. So this is really becoming a game changer in the digital space. And now the future would be that on the inkjet machines that you have online, put in a dyestuff on-site and you get the ink manufactured. But still the problem is still the pigment printing through the digital means. The binder systems still have to be improved. So there are a lot of companies working on that. This is a big project worldwide. Every ink manufacturer is trying to get the right binder system which doesn’t choke because one print head is costing 6000 euro and there are 128 print heads. You can imagine if out of 128 printheads, 28 go then its a lot of cost. And people are looking at getting the liability declarations on the print head. We have launched the Color Atlas, which is like the Pantone. Pantone had X gamut of shades. But we have now expanded that to a bigger gamut called Color Atlas where you can really put in a design online and get the color separations. Color Atlas is an empowering color tool, one that would help you find the exact color you need for your specific application. The idea is to offer you options you’ve never even dreamed of, and the ultimate goal is to deliver your final choice with unparalleled accuracy, no matter the application. We cover a lot of gamut of shades. You can use your mobile device to take photos or use existing images to search the library to find matching colors via Color Atlas Online. The app Color Atlas Online offers dedicated color pages with dyeing recipes, technical support, and visual representation of similar colors. A lot of brands have started using this. We have the One Way- a sort of calculator which even blue sign has started using. It can calculate water, electricity and all the utility consumption plus the carbon footprint. The other major thing it can calculate is a BOD, COD ratios by which the elimination factor can be calculated. These things are really helping us to take our business online so that you can have a look at some of the commodities being offered online. We have also got Smartrepel® Hydro – Non-fluorine water repellent protection. SmartRepel® Hydro supports the increasing adoption of eco-advanced materials and production processes by textile producers and brand owners. It is a based on new generation of non-fluorine chemistry that meets criteria for PFC-free finishes and clothing: compliant with ZDHC MRSL and Oeko-Tex® standard; blue-sign® approved. This new range is Archroma’s nature-friendlier protection that keeps cotton, polyester and polyamide textiles dry. 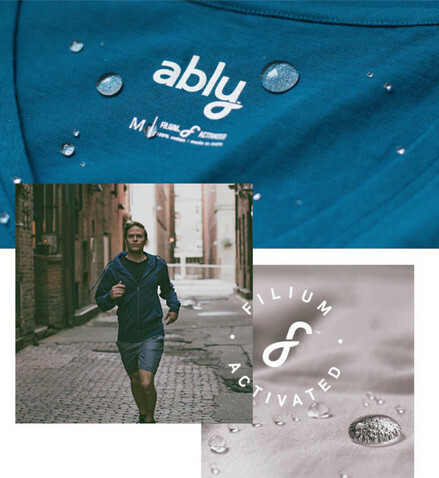 The unique technology offers exceptional, durable water repellency and is not based on fluorine. SmartRepel® Hydro produces a soft hand feel and outstanding breathability – the perfect long-lasting, high-performance finish for weatherproof garments. Another big innovation from Archroma is oxidized sulfur dyes with a wide range of shades that we can just pad dry or pad fix. There is no water consumption. We are working on this innovation to further improve it because this is going to be a game changer technology better than the pigment printing. In case of pigments, we still have to carry out some processes where we have to make the fabrics soft. We have to come out with softer binders and other things. Archroma’s innovations include an aniline-free (below limits of detection) denim indigo dye. It provides a non-toxic way to produce the traditional, iconic indigo blue for denim and jeans. Currently, aniline impurities are an unavoidable element of producing indigo-dyed denim. Unlike other chemical impurities, aniline is locked into the indigo pigment during the dyeing process and therefore cannot be washed off the fabric. These impurities are toxic to humans as well as to aquatic life. The Denisol® Pure Indigo 30 dye is one of the finest sustainable innovations for denim in addition to ‘Advanced Denim’ technology which uses up to 90% less water during the dyeing process. Being not indigo but sulfur based, ‘Advanced Denim’ is also an aniline free solution. Archroma’s Double Black is an innovative concept for a superior level of black. Double Black is a synergy of dyeing technologies that creates stunning, deep black shades under any lighting conditions, with great flexibility and excellent wash-fastness. The main problem with black is that it fades every time you wash the black and then you don’t get that same look of the black. So we have now come out with some techniques and some fixatives which can improve that. Double Black brings together in one process a sulfur black dyestuff, Diresul® Black RDT-2KS liq, and a reactive black dyestuff, Drimaren® Black CL-S, resulting in a superior level of deep black shades and enhanced performance for cellulose fibers. Double Black represents a significant improvement in the field of black shades for cellulose. It combines the high performance of sulfur blacks (perspiration/ light fastness, etc.) with the features of reactive blacks (shade flexibility, repetitive washing fastness etc.). As a result, a superior level of depths, tone flexibility and fastness is achieved. And all that is achieved without an increase in processing time because scouring and Diresul® black dyeing is carried out at the same time. Another problem that we want to overcome is to discourage and eliminate the use in Ethoxylates detergents/BPOs. 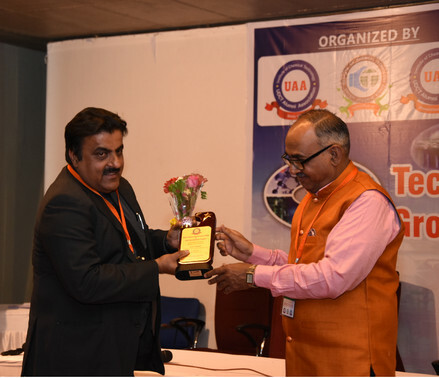 Some of the markets in India like Surat, Amritsar, Bhilwara, Jodhpur there is a lot of consumption of BPO still around which really needs an attention from the mill owners to stop using the BPO based detergents. Ethoxylate detergents are the best for efficiency but they are not good for the ecology. The processing houses still use lot of chlorinated solvents which contain a lot of BOD and COD and this needs to be addressed. I’m trying to work out with the companies around to see how we can help them so that they come out of this. 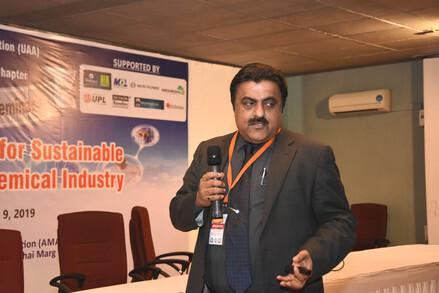 I wanted to communicate through my presentation on what are going to be the next stages of innovations where we can contribute either in the form of a speciality product or in the form of an innovative process technology including the recycling part.